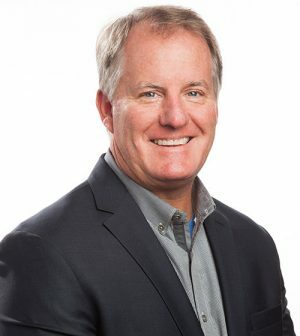 Chip Crawford, FASLA, senior principal at BatesForum, the design practice of Clayco, has been named chair of the Urban Land Institute – St. Louis District Council (ULI St. Louis). Active in ULI locally and nationally for more than 10 years, Crawford has helped advance the organization’s responsible land use mission in the St. Louis region. He has served as the chair for mission advancement, chair and participant of several area Technical Assistance Panels (TAP), and co-chair of the ULI St. Louis Equitable Communities initiative. On a national level, Chip is a member of ULI’s Public Private Partnership Product Council. An award-winning landscape architect, Crawford has more than 30 years of experience leading some of the world’s most complex planning, landscape architecture and urban design projects. Crawford connects with clients to stimulate creative thinking and problem solving, bringing the best expertise and newest thinking to the table. Crawford’s experience is at every scale, from the planning of large new cities, community planning, streetscapes, academic and corporate campus planning and design, greenways and parks, to site specific landscape architectural design on projects all over the world. Chip has led or played a major role in over 65 award winning projects. Crawford is a Fellow with the American Society of Landscape Architects, past president of the Landscape Architecture Foundation, and Fellow at Kansas State University. He is also a registered landscape architect and LEED GA accredited professional by the U.S. Green Building Council. With more than 260 members, ULI St. Louis unites thought leadership in the responsible use of land and in creating and sustaining thriving communities worldwide. Its members include real estate, design, construction, institutional, legal and accounting professionals along with civic leadership.